With bad weather events come power outages that can ultimately cause safety concerns for utility companies and their customers. 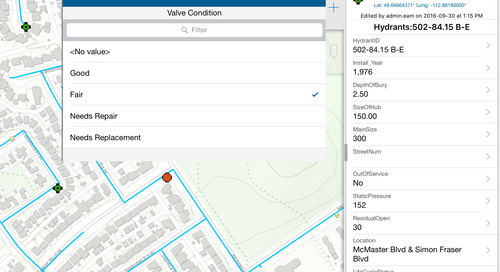 Discover how NB Power used ArcGIS Online and its built-in capabilities to configure an app that provides citizens of New Brunswick with up-to-date information on power outages with February’s App of the Month, the NB Power Outage map. 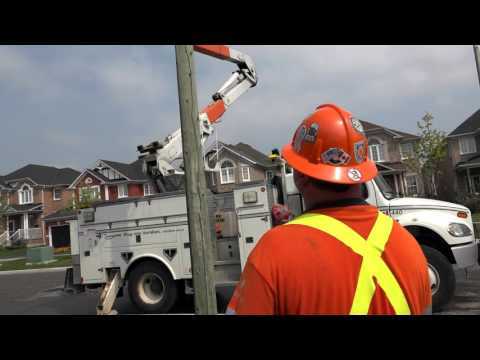 High winds, lightning, flooding and freezing rain can all be causes of power outages. One minute, you’re binge-watching your favourite Netflix show to escape the horrible weather outside, and then all of a sudden, the power goes out and you’re left sitting in the dark alone. 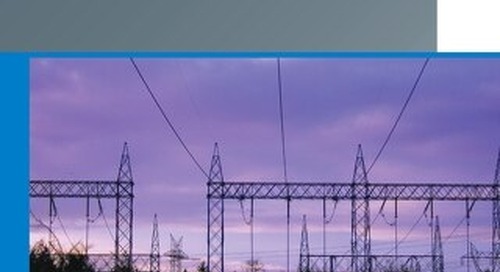 Power outages can cause a variety of safety concerns to the public, and utilities can mitigate these safety concerns by quickly communicating outage updates to customers affected. 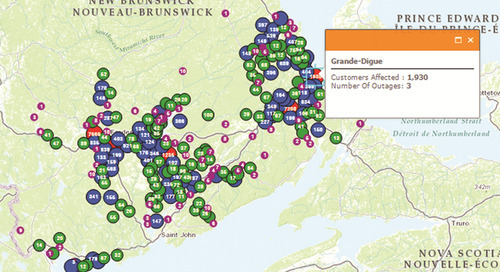 After two major weather patterns hit New Brunswick in December 2013 and again in July 2014, leaving collectively 310,000 customers without power, NB Power used the power of mapping to improve the way they communicate outages to the public. 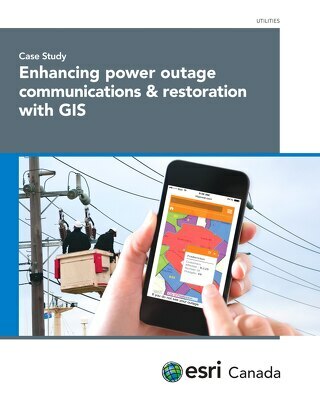 Their solution was an Outage Map, which provides up-to-date information on both unplanned and planned outages. Previously, in an event of an outage, customers had to sort through lists on NB Power’s website to determine where an outage was occurring. 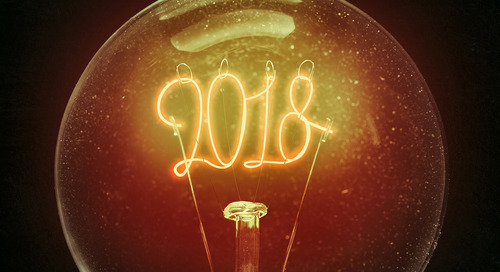 During extensive outages, the utility’s call centre experienced high inbound call volumes that led it to increase its call centre capacity, consequently increasing operational costs. 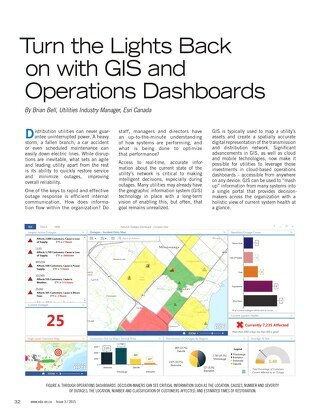 By providing outage information with a geographical context, customers are now able to visualize power outage incidents efficiently, without having to sort through a long list. They can easily search for their location on the dynamic map and immediately see information on the number of outages and customers affected in a region. Customers can access NB Power’s Outage Map via desktops, mobile devices and tablets to view timely, accurate updates on outages. 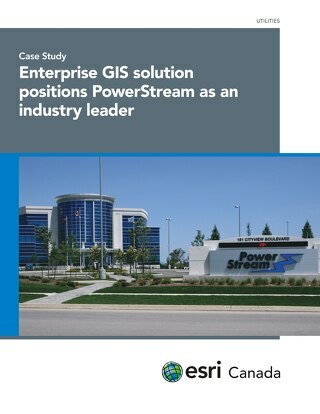 NB Power configured the app using a combination of Esri’s ArcGIS Desktop and ArcGIS Online solutions and FME from Safe Software. 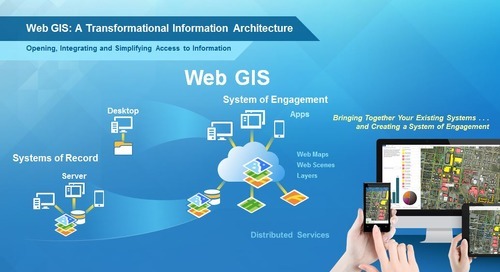 They created the look and feel of the app using ArcGIS Desktop and then published the map features to ArcGIS Online as feature services. 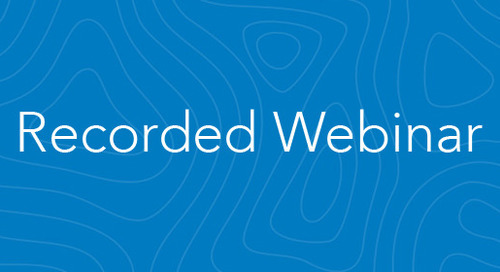 You can do this by signing into Desktop with your ArcGIS Online credentials, which will allow you to quickly take information from your desktop to the web seamlessly. 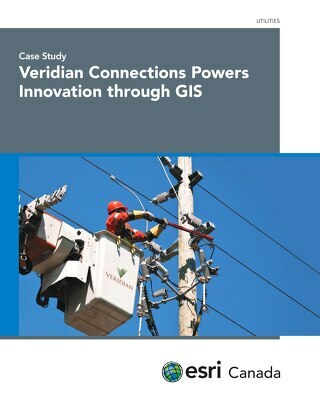 “The ease of publishing the data to ArcGIS Online means you can put more thought into the content, rather than the delivery,” said Ian Eagles, GIS Specialist, NB Power. FME software was used to develop an automated workflow for creating new, geocoded power outage reports that update at 10-minute intervals. The new features are then published to the app on NB Power’s website. 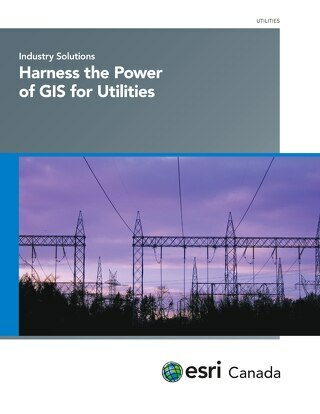 ArcGIS Online’s built-in capabilities provides a number of benefits to the utility. 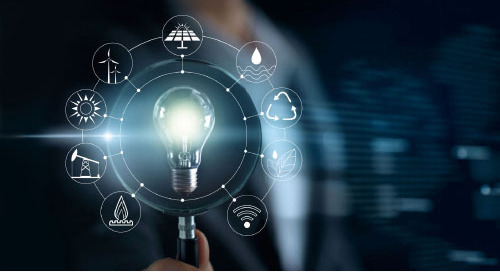 First, NB Power is able to mitigate costs for IT infrastructure as hosting data and the app on a cloud-based infrastructure eliminates the need for additional servers. Second, the topographic basemap used by the app is maintained through Esri Canada’s Community Maps program. NB Power released its Outage Map in the fall of 2014 and not long after its release, the app aced its first test. A storm dropping 35 centimetres of snow on some areas of the province resulted in over 50,000 customers without power. As the storm peaked, the volume of visits to the app reached 23 transactions per second, and it received 1.2 million visits within the first 24 hours of the storm hitting the province. 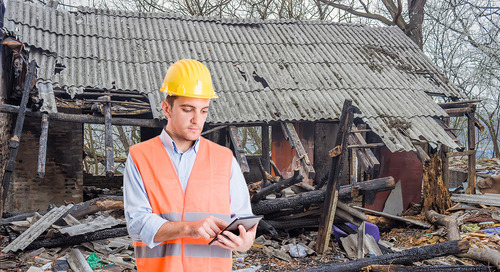 Throughout the time period of countless visits, the outage map maintained 100% uptime, consistent performance and a positive end user experience. 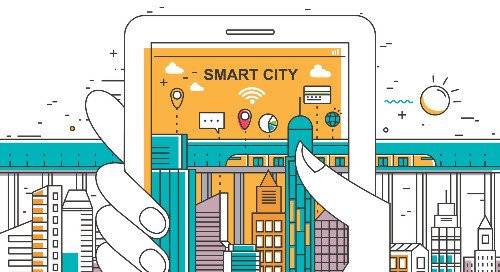 ArcGIS Online’s automated scalability provided additional processing capacity to accommodate the increased traffic, so the utility didn’t have to worry about the app crashing from the spike in usage. The mobile-friendly Outage Map uses effective design techniques to seamlessly display data without hindering the app’s performance. NB Power’s Outage Map is a great example of how developing a simple app can be just as powerful as an app with various widgets. Displaying simple points to summarize the map on a smaller scale and detailed polygons at larger scales is a very effective way of presenting information and improving performance. Having a lot of detail at smaller scales can increase the rendering time your application requires to display data, therefore slowing down the app’s performance. It is much more effective to show more detail as you zoom into the map. To further improve the app, NB Power plans to add more information including restoration time and outage cause to the outage polygons’ pop-ups. The utility also plans to break down larger municipal areas into smaller sub-areas to provide more localized information.